Introvert, Extrovert, Ambivert, Introverty - Which One Are You? Some people just know they’re introverts. If, like me, you’re at the extreme end of introversion, then you know it. If you’ve been following the posts here or on the Louder Minds Facebook page and saying, that is so me!, but you know, quietly and to yourself, then you know it. But what if it’s not so clear? What if you feel kinda introvert-y? 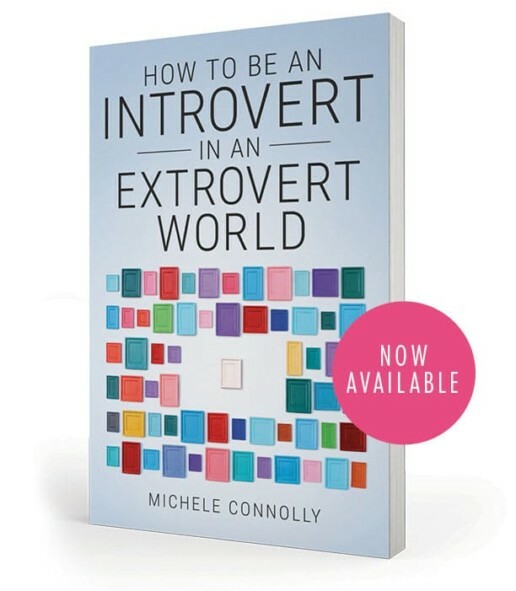 Could you be introvert-adjacent? Yes you could, and here’s why. In fact two whys. There is no such thing as a pure introvert or extrovert. Such a person would be in the lunatic asylum. Assuming you are not reading this from a lunatic asylum (though if you are, welcome! Be sure to sign up for my Weekly Update), you will fall somewhere on the spectrum between pure extraversion and pure introversion – toward one end or the other, or in the middle, or leaning in one direction. Second, extraversion/introversion is a broad, Big-Five concept that actually encompasses a number of narrower traits, including level of sociability, energy, activity, sensation-seeking, interpersonal dominance, and tendency to experience positive emotional states. You might be high on some of these finer traits and low on others. Or in the middle on some and more extreme on others. Candastasia is always doing a million things. She adores having people drop in unexpectedly. She craves adventure and her holidays often involve something wild or off the beaten track. Her business is run with so many balls in the air that she barely needs a floor. She is spontaneous, open, and gregarious. She talks fast and with incredible passion. She is dizzyingly energetic. She enjoys being a leader and has a naturally strong, dominant style. Just thinking about her makes me want to have a little lie-down. She would be high on most of the aspects of extraversion. In many ways, Kryptonia is a classic, people-person extrovert. She is sociable, extremely popular, always busy, energetic, easygoing, positive. When we used to work together she’d hold the lift door open for everybody – and then chat with them all! (I would desperately avert my eyes and will the doors to hurry up and close.) She lives on an estate with a strong community and heaps of interaction with neighbors – and she loves it. As a mum of two young boys she doesn’t often get a night to herself, but when she does, there’s nothing she enjoys more than a night out with some of her exuberant, fun-loving friends. Yet Kryptonia is also extremely organized and enjoys order and routine, something you might not associate with the more extroverted temperament. When she and I have dinner there’s no small talk and lots of intimate conversation, often to the point of scaring our waiter. In true extrovert style, Wontonio loves being the centre of attention. He is smart, charismatic, funny, entertaining, and excellent company. He is more open and consistently himself than anyone I’ve ever met. His sensation-seeking leads him to love bungy-jumping and all kinds of crazy (to me) adventures. He is comfortable with levels of uncertainty that would leave me weeping in a fetal position in the corner. But every so often he has episodes of extreme introversion, where he disengages from social media and social life and withdraws into himself to recharge. He’s not depressed, he finds this downtime pleasurable – like a hibernation that gets him ready for re-emerging in the spring. Suspira is one of those wonderful connectors who knows lots of people and is great at putting the right people in touch with each other. She is outgoing and friendly, loves learning new things, and enjoys a high level of mental and social stimulation in her life. Although an extrovert in many ways, she is aware of needing to batten down her social hatches regularly. She used to find this need for social downtime at odds with what she thought was a straightforward extrovert personality. But, like most people, her personality is more complex, and since understanding she’s probably more of an ambivert, she’s better able to recognise when she needs to recharge her social battery. When Allabasta and I studied psychology together I was in awe of her energy and ability to be good at many diverse things and get things done without fuss or overanalysis (how was that even possible?). She had lots of extra-curricular activities and an extremely active social life. Nowadays though, as the mother of twin toddler boys, her emotional and social energy is very different. Because the demands of twins means she sometimes has to say no to things, she has discovered how good it feels to do less, how much happier she feels when she respects this introverted part of herself. Lilithia is quiet and reserved and at first I thought she was an introvert. But she really enjoys socializing and entertaining and even being onstage teaching fitness classes. In fact she’s somewhat extroverted and shy, rather than introverted. When in a class together, I notice everything – what people are wearing/who’s out of time/what the guy outside the studio is doing, while she easily tunes it all out. Like many extroverts with their lower arousal levels, she is miraculously (to me) good at ignoring things she is not interested in. I want that ability! Does it matter where you fall on the introvert – ambivert – extrovert spectrum? Not in terms of having a pointless label, nope. Where it is helpful is in understanding yourself, your preferences, your personality. In particular, if you have introvert tendencies, then recognising and respecting them can make a big difference to your life. Because that self-knowledge helps you better manage your time, energy, work, social life, and intimate relationships. All of which makes you a happier introvert, extrovert or salamander ambivert. Is Introversion The Same As Social Anxiety?